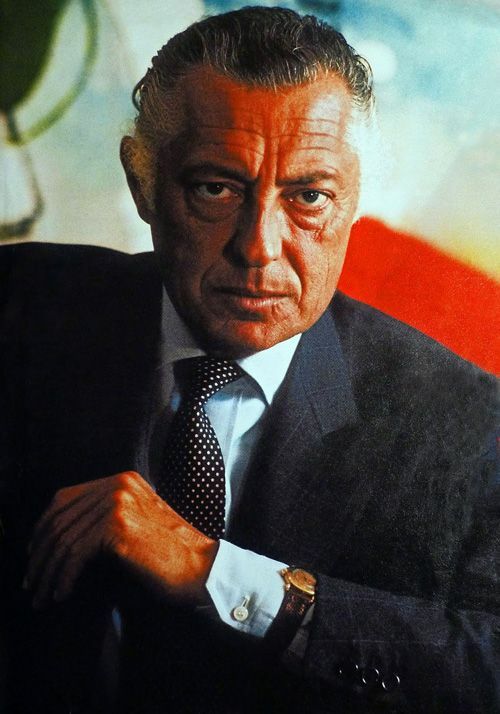 Gianni Agnelli, former Head of FIAT and Italian industrialist was famous for his flamboyant style. Nicknamed ‘The Rake of the Riviera‘, Mr Agnelli was always wearing his carefully selected timepieces over his cuff. In the autumn of his life he has been spotted wearing this large – especially for that time – OMEGA Seamaster PloProf over his cuff. Earlier even – but already a bit grey haired – he has been spotted wearing this wonderful classic Patek Philippe World Time ref.1415 HU timepiece. Jake featured him on his Patek Blog last year and states that this picture dates back to approximately 1960. We found a similar Patek for sale over at Chrono24, world’s leading market platform for timepieces. Seller is Harris – Connor, a company that seems to be specialized in selling and buying very exclusive items and real estate. Although we’ve never heard of them before – but that could be perfectly our own short coming – they have an impressive line-up of timepieces (mostly Patek Philippe) for sale. We can only imagine how wealthy their clients must be. Asking a firm $300,000.00 USD, it is far more expensive than the Patek Philippe ref.1415HU (Heuer Universelle which translates into World Time) sold at Christie’s for $68,500.00 USD in December 2008. However, we’ve also seen them for much higher prices. What to think about the $6,000,000.00 USD Patek Philippe ref.1415HU at Antiquorum on the 13th of April 2002? 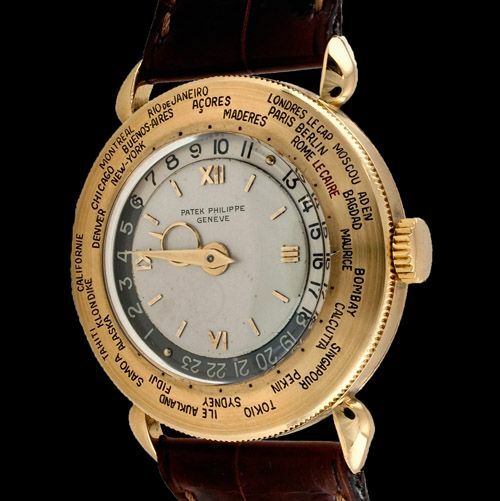 Collectors have gone crazy about these beautiful vintage world time watches by Patek Philippe. Harris-Conner states that this watch is a piece unique, which is one way to define the fact that it has city Cairo marked red on the dial on request of the original buyer in 1946. We wouldn’t go as far as defining it as piece unique, but at least as a Patek with a unique characteristic. You can see this Patek Philippe here and also have a look at their other fine timepieces.